A bright morning and perfect conditions. We had 30 runners in total and a very warm welcome to Sharon Lewis and Nicola Walters who were running with SE Fitness for the very first time. Everyone is a winner………. But here is the actual winner! Corrinne was first back over 10K in 49:00. 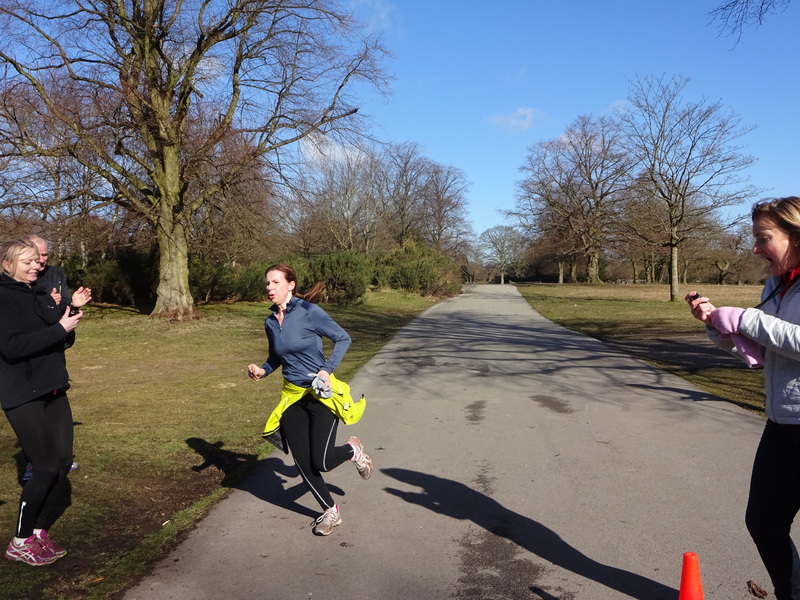 She says it’s her first ever timed 10K, how brilliant is that? Derek Bobbit was the fastest man over 10k in 58:24. Not bad for a man in his seventies! 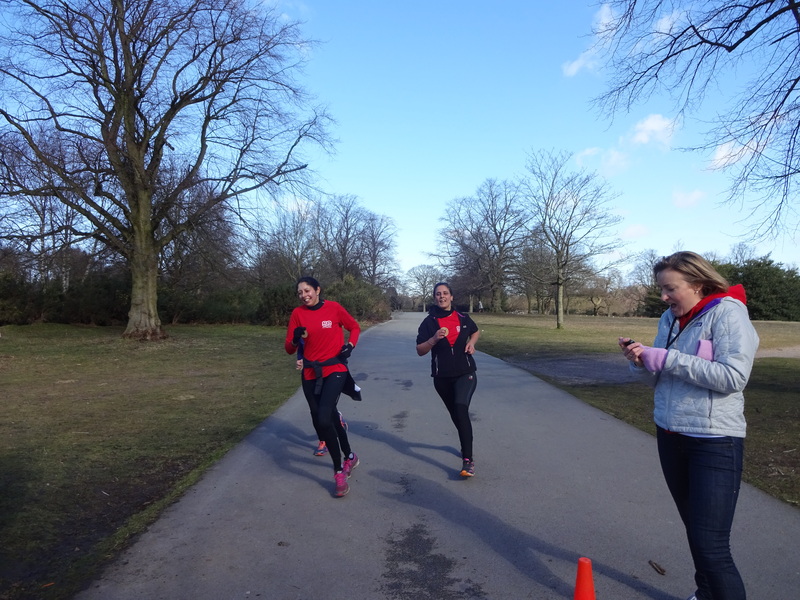 Three of our Run Fitness ladies crossing the 10k finish line in fine style. Well done Del, Iggy and Judy. Mandy took a great picture of Judy you can just about make out her right foot! 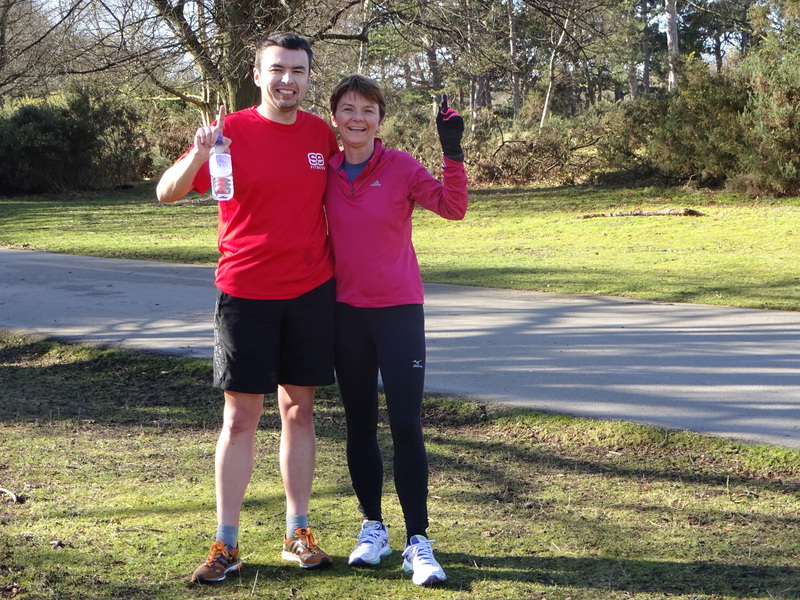 Over 5k Adam Page first man home in 21:39, shortly followed by Alison Stewart first woman home in 23:23. 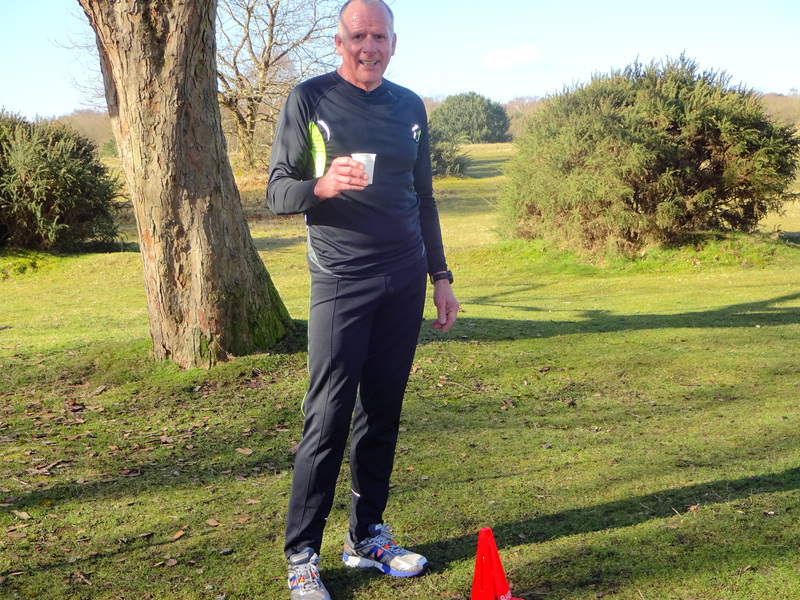 John Braniff did a personal best at 26:10 which probably makes him our fastest Veteran! 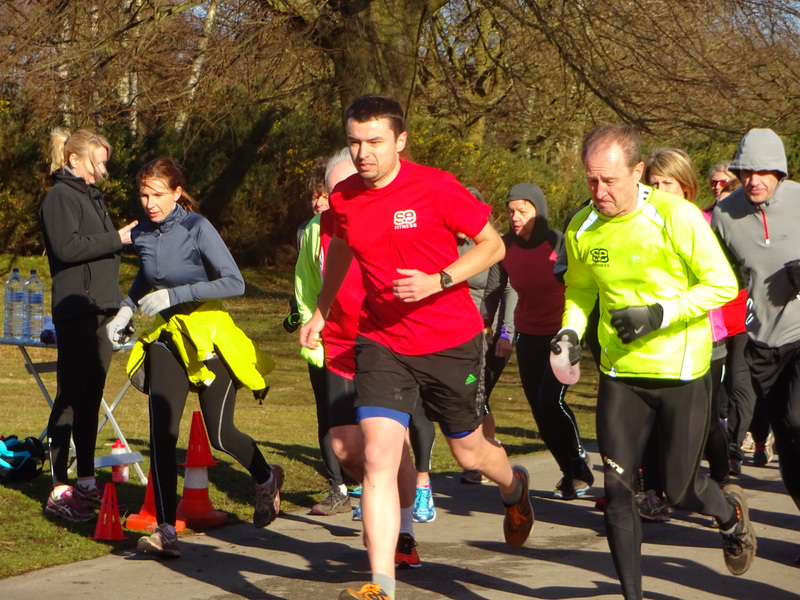 Well done to everyone who took part, I hope you are pleased with your time. Many thanks to leaders Neil, Michelle, Amanda, Mandy, Becky who helped to make it a great morning.